Win Tickets for an Artsy Weekend at the Noosa Long Weekend Festival! We all love a long weekend, and in Noosa they know how to do it in style with the annual Noosa Long Weekend Festival: 10 days and nights of comedy, cabaret, food, dance, film, theatre, literature, music and forums from June 14th to 23rd. If you need an excuse to head up the road to Noosa and relax by the beach, or curl up by a fireplace in a hinterland B&B, the we have just excuse you're looking for. The festival has 85 events featuring 250 national and international performers, including star of Jersey Boys Australia and Hot Shoe Shuffle, Bobby Fox; cartoonist Michael Leunig; high tea with Ready Steady Cook's Janelle Bloom; David Malouf in conversation with ABC Radio's Richard Fidler; and David Williamson's new comedy play, Happiness. Urban List readers have a chance to win a Noosa Long Weekend accommodation and ticket package. 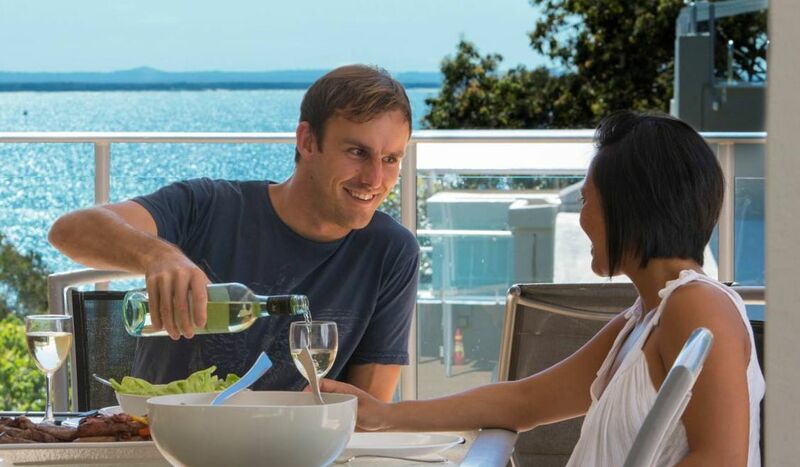 You and a friend will stay for 2 nights in a beachfront apartment at The Cove Noosa in the heart of Little Cove and attend five of the festival's events (keep reading for all the comp' details!). New this year is the festival's Comedy Club taking place over four nights, with leading comedians from the Sit Down Comedy Club. There's a smorgasbord of food events too, including an all day Hinterland Asian Food Safari; Ducks Deluxe: a duck extravaganza with duck courses at three Hastings Street restaurants; a progressive Indian Banquet; Prawnissimo Promenade with prawn dishes at three Sunshine Beach restaurants; and Three Little Piggies progressive pork lunch at Noosa Sound restaurants. There's also food for thought at forums with topics including Federal politics (with Barrie Cassidy from Insiders, George Megalogenis, Dennis Atkins and Nikki Sava), Women and Power, Clean Energy and near-death experiences in When the Chips are Down. The Noosa hills will be alive with the sound of music and more including Julie, Madly Deeply, the life and songs of Julie Andrews performed by Sarah Louise Young; Circa Zoo; the Queensland premiere of Robyn Archer's Que Reste-t'il? with French songs from Jacques Brel to Brigitte Bardot and Serge Gainsbourg, and the fun doesn't stop when the sun goes down, as the 'Festival Club After Dark' kicks on at the new Wood Fire Grill. As you soak up the culture, you can soak up the sun and sounds of lapping waves at The Cove Noosa resort nestled in the rainforest right next to stunning Little Cove Beach and just minutes to Noosa's Hastings Street and the magnificent Noosa National Park. The Cove Noosa, part of the Stay in Noosa group, which has spacious and self-contained waterfront accommodation at Las Rias and Noosa Quays on the Noosa River, and Little Cove Court and The Cove Noosa, are both nestled in the rainforest at Little Cove Beach near Noosa National Park. To go into the running to win this fab' prize, simply click here to sign up to The Urban List eNewsletter between now and Thursday the 6th of June (check out the terms and conditions here). Click here for more information on The Cove Noosa, for all the details on the Noosa Long Weekend Festival, and for more great ideas on what to see and do in Noosa. TUL Note: Today's List Love post is proudly sponsored by Tourism Noosa and endorsed by The Urban List. Our sponsored posts will never be a secret - the List Love seal will be stamped on any sponsored material you see on the site. Thank you for supporting the sponsors who make The Urban List possible.